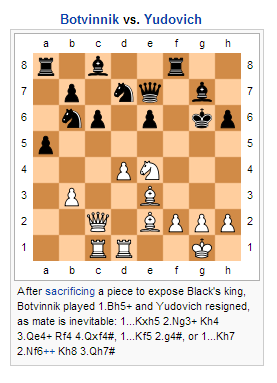 Chess strategy consists of setting and achieving long-term positioning advantages during the game – for example, where to place different pieces – while tactics concentrate on immediate maneuver. Chess software uses strategy and tactics internally to compete against human players. These two parts of the chess-playing process cannot be completely separated, because strategic goals are mostly achieved through tactics, while the tactical opportunities are based on the previous strategy of play. 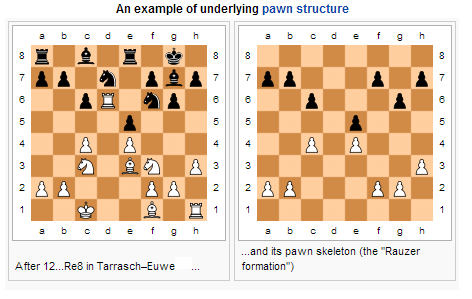 A game of chess is normally divided into three phases: opening, typically the first 10 moves, when players move their pieces to useful positions for the coming battle; then middlegame; and last the endgame, when most of the pieces are gone, kings typically take a more active part in the struggle, and pawn promotion is often decisive.